Well, Amazon UK has started taking pre-orders for the Nokia 1 and Nokia 7 Plus smartphones with a promise of shipping them from 30th of April. 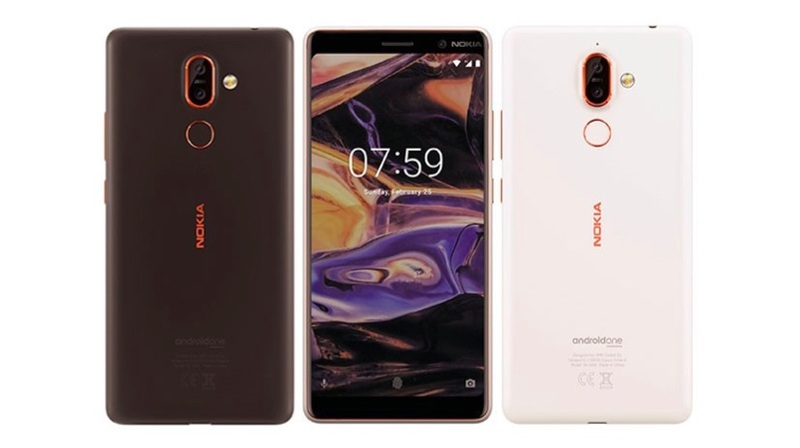 The Nokia 1 will be available in Warm Red and Dark Blue variants for £79.99 while the Nokia 7 Plus will be available in Black and copper color options while pricing at £349.99. Other Nokia devices are also expected to be followed by these devices as most are expected in April month. Coming to the Nokia 1, the device will be an entry-level handset with Android 8.0 Oreo operating system and will come with 4.5-inch 480×854 pixels resolutions giving a pixel density of 218 PPI. It will be powered by a MediaTek MT6737M quad-core processor with 1.1 GHz clocking speed and is coupled with Mali-T720 GPU and 1GB of RAM. There is only 8GB of internal storage provided on the handset that can be further extended up to 128GB via microSD card slot. There is 5MP of primary camera with LED flash and 2MP camera on the front for video calling and selfies. There is also a 2150 mAh removable battery to power the handset. The Nokia 7 Plus is a bigger handset with 6-inch IPS LCD display and has a front aluminum glass and aluminum body with copper edges. Under the hood, there is a Qualcomm Snapdragon 660 SoC with eight cores coupled with Adreno 512 GPU and 4GB of RAM. There is a 12MP + 12MP camera setup on the rear with dual LED tone flash and is accompanied with 16MP Carl Zeiss optics on the front. There is also a fingerprint sensor on the rear and has a non-removable 3800mAh battery with fast charging technology. The onboard storage is 64GB and uses secondary SIM slot to extended memory via microSD card. Are you planning to pre-order any of these devices? Comment in the section below and stay tuned to Android Advices for more news and updates.